The WTC is more than a building or an organization. It brings together business and government agencies involved in international trade. Moreover, it provides essential trade services and stimulates the economy of any region it serves. It works as a single combining factor which puts all the services associated with global commerce under one roof. As per the constitution and bylaws of World Trade Centers Association (WTCA)- the mother body of all World Trade Centers in the world, "World Trade Centre" is defined as one or more buildings or structures, of whatever type, kind, nature or design, providing for the centralized accommodation of both activities and services devoted to world trade and international commerce, the promotion, furthering and protection of such trade and commerce, or similar services related to the foregoing. 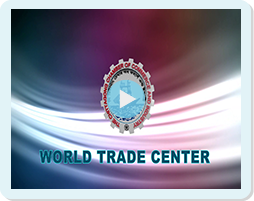 A World Trade Centre (WTC) connects its members to the universe- to the companies and the government agencies, which make up the fabric of global commerce. In the present day world of business, the World Trade Centre (WTC) renders facilities and services to the practitioners of trade they need to conduct global business, creating a central focal point for a region's trade services and activities of a "one-stop-shopping" centre for international business. 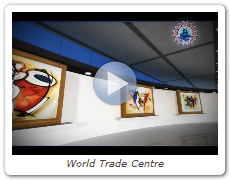 Almost 100 countries of the world have established about 300 numbers of WTC's for the faster development of the World Trade. The history of WTC dates more than 60 years back. The first WTC was built in New Orleans in 1943 as an International House and in 1945 it was converted as International Trade Mart. The WTC Chittagong will be the newest edition of WTC Members and the first in Bangladesh. Temporary & Permanent Exhibition Hall. 3 Basement Car Parking (400 Cars). Block for Financial Institutions . In the Exhibition Hall at World Trade Center, Chittagong, Bangladesh. Jute Goods, Jute Bag, Handicraft, Jute Twain, etc. Sk. Mujib Road, Chowmuhani, Chittagong. Biscuits, Chuips, Jems, Jelly, etc. House # 12, Lane #5, Road # 1, Block # L, Agrabad Access Road, Halishahar, Chittagong. Ali Mansion, 1207/1099, Sadarghat Road, Chittagong. 29, Bania tila, Station Road, Chittagong. Elite Paint & Chemical Industries Ltd.
Elite House, GEC Circle, CDA Avenue, Chittagong. Energy Center, Plot # 02, Road # 01, Lane # 05, Block # L, Halishahar H/E, Chittagong. 7, Abhhoy Mitar Lane, Firingee Bazar, Kotowali, Chittagong. Fulkoli Bread & Biscuit Ind. Ltd.
1614/1656, Idris Building, Amir Ali Road Chy. Asadgonj, Chittagong. Airbell Edhina A-2, (2nd Floor), 920, New Mansurabad, Akbarsha, Chittagong. 21/27, Bayezid Bostami Nasirabad I/A, Chittagong. House # 12, Lane #5, Road #1,Block # L, Agrabad Access Road, Halishahar, Chittagong. Sk. Mujib Road, Chowmuhani Chittagong. 403, Kulgaon, Hathazari Road, Jalalabad, Bayezid, Chittagong. BSCIC Industrial Estate Block, Chittagong. House #6, Road # 3, Sector # 10, Uttara, Dhaka. Hand Bag, Shoes, Refine Leathers. (7th Floor) 42, M.M. Ali Road, Dhamapar, Chittagong. N. Mohammad Plastic Industries Ltd.
224/A, C.D.A, Avenue , Muradpur, Chittagong. West Sohid Nogor, Hat Hazari Road, Bayezid, Chittagong. Box Culvert Road Purana Paltan, Dhaka-1000. 4, CDA Noxious I/A, Chandgaon Kalurghat, Chittagong. 175/A/186, SK. Mujib Road, Agrabad C/A, Chittagong . Plot #35, Sector #4,CEPZ, Chittagong. Ventura Leatherware Mfy (BD) Ltd.